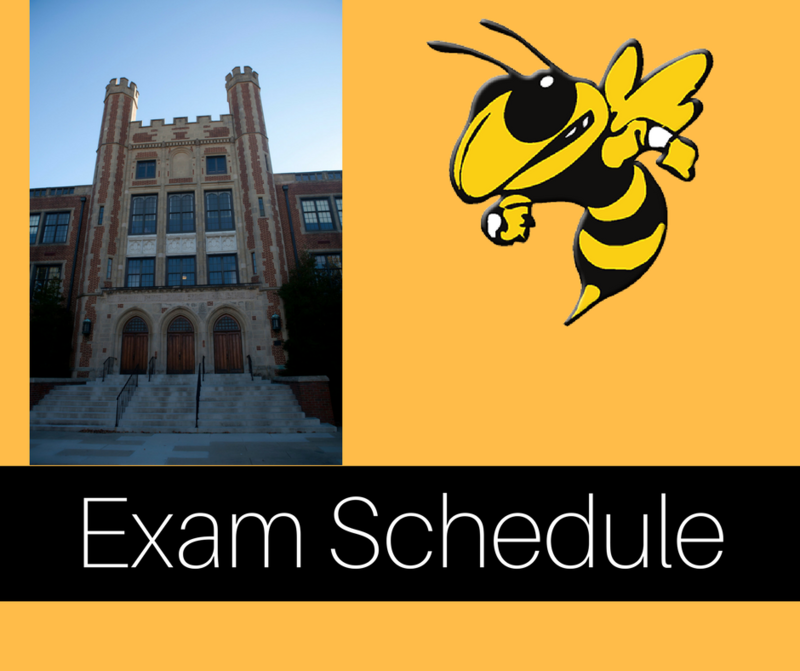 NO ONE MOVES FROM ANY ROOM OR ANY LOCATION UNTIL ESCORTED BY ADMINISTRATION – TIMES OF DISMISSAL FROM EACH ROOM MAY VARY DEPENDING ON THE TYPE OF EXAM YOU ARE TAKING – ADMINISTRATION WILL LET YOU KNOW WHEN THE TESTING SESSION IS OVER AND WILL MOVE YOU ACCORDINGLY. ONCE YOU ARE ESCORTED FROM YOUR TESTING SITE YOU MAY EAT LUNCH IN THE CAFETERIA OR LEAVE CAMPUS FOR THE DAY. NO ONE WILL BE IN THE HALLS OR ROAMING ABOUT ON CAMPUS. TESTING WILL NOT BEGIN EACH DAY UNTIL AN ANNOUNCEMENT IS MADE TO DO SO. ALL TEACHERS SHOULD LET TESTING DIRECTOR M. Harris KNOW IMMEDIATELY OF ANY ABSENCES FROM THE EXAM. We will follow the same procedures as above on Wednesday, Thursday, and Friday with makeups on Friday. Makeup exams will be given week later next week as needed.